The interview guides provide an easy-to-follow format for structured, behavioral-based interviews. Each guide, with specific questions related to each of the thirty-five competencies in Workitect’s competency dictionary, makes it easy for a hiring manager or interviewer to collect behavioral examples about a candidate’s relevant work experiences and accomplishments. throughout the organization. A Competency Dictionary license is included. The Structured Event Interview is a simplified type of Behavioral Event Interview, developed by Workitect to provide many of the benefits of a Behavioral Event Interview, while significantly reducing the time and cost required to conduct and analyze the interview. 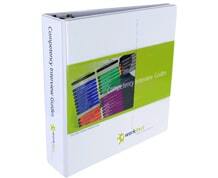 A Competency Interview Guides license includes licenses for the Competency Dictionary and Competency Development Guide. These Organizations Have Acquired Intellectual Property Licenses That Have Enabled Them To Provide Customized Guides For Hiring Managers And Interviewers Throughout Their Organization. The Competency Dictionary Has Also Enabled Them To Build Job Competency Models And Competency-Based HR And Talent Management Applications. S&D Coffee & Tea, Inc.
Use a Job Competency Model, position description, or a Competency Selector to determine which competencies to assess in selection interviews. 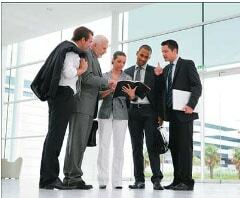 Conduct a Structured Behavioral-Event Interview using a Competency Interview Guide. Deal with problems encountered when interviewing. Score the interview for competencies. Compare candidates and make a selection decision.